If you would like to hear this sermon fully, you can listen on our Sermon’s Page, or watch the live stream recording on Facebook. Frank mentioned the song “Creed” by Rich Mullins. 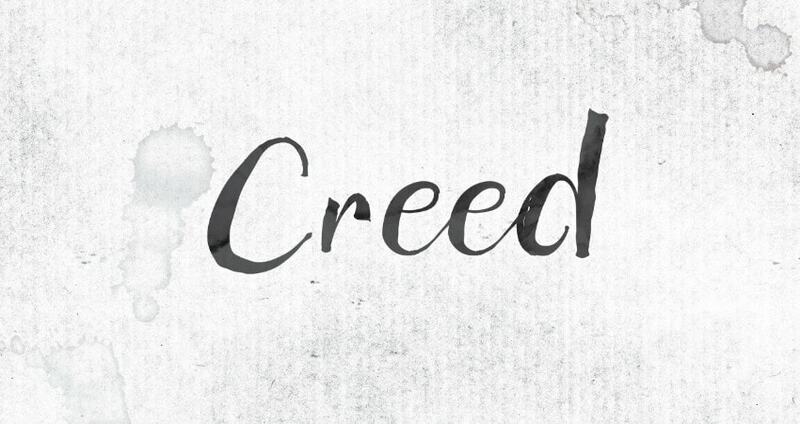 A Creed is a formalized declaration/confession of faith and what we believe. These were especially important in the early days of the church because the written word was done by hand and not accessible to most people. Having memorable and portable condensed forms to 1) know what we as a community believe, and 2) protecting from false doctrine. This is the big challenge for us. We so often mix and match our believes from such various sources, we don’t actually have a clear idea what it is we believe. This cobbled together theology acts like a spiritual goulash, so many of us have a hard time actually knowing what we believe. This is why the Creed is so important – it is a personal declaration of something we corporately believe. Omnipotent: There are no limits for God to be able to accomplish His Will. He is all-powerful to accomplish anything. Omniscient: He is all-knowing. There are no limits to his knowledge. Omnipresent: He is present everywhere. Omnibenevolent: He is all-good and nothing about Him is bad. God is our Father. This is not an aspect of gender. God is spirit and not male or female. This is about His nature of His relationship with us. It means we are in His family, that our inheritance and name come from Him. We are His children. He is King, so we are princes and princesses within His family. He rules what he has created. He has authority over it. Ethics and morality are defined by Him, not us. It is His world and His laws. Society and Life function on His terms, not ours.